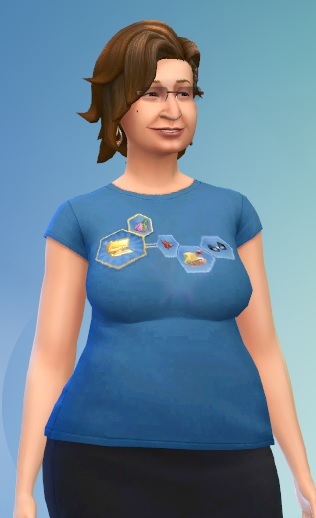 My Simself wears her personality proudly on her chest! Knowledge aspiration, lazy, foodie, geek. Recolor of the Female Crew Neck Tee (defaults to purple with yellow bird in CAS demo), blue swatch. and S4PE by Kuree https://github.com/Sims4Group/Sims4Tools/releases . Excellent Srikandi. This is the first thing that has made me even want to try the CAS demo.